František Xaver Dušek [German: Franz Xaver Duschek or Dussek], born December 8, 1731, village of Chotěborky near Jaroměř (now the district of Hradec Králové), Czech Republic – died February 12, 1799, Prague, Czech Republic) was a Czech composer, teacher and pianist. One of the founders of Czech piano school. He was very famous as a pianist in his day. Dušek’s legacy includes number of piano pieces, mostly variations, sonatas and concertos. He also wrote chamber music, symphonies and songs but not much is known about this. His music shows connections with the national Czech songwriting. František Xaver Dušek was born in the village of Chotěborky near Jaroměř into a peasant family. The land, where the Dušeks lived and worked, belonged to Count Johann Carl Sporck. His father was a farmer in service to him. Dušek received his first musical training from a local cantor. After completing his primary education, he entered the Gymnasium. Count Sporck sent him to the Jesuit college at Hradec Králové. After graduation, Dušek had to become a priest, but shortly before his graduation, he suffered a severe leg injury and was forced to leave the educational institution. He was left crippled for life, but this allowed the young man to make music, to which he always felt an emotional inclination. When Dušek was 16, Count Sporck sent him to Prague to continue his musical studies with František Václav Habermann, one of the city’s foremost counterpoint teachers. 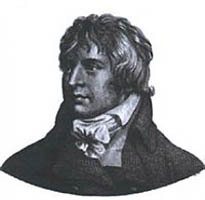 It was Count Sporck who paid Dusek’s expenses for further study in Vienna after having noticed the progress of the future composer with Habermann. In Vienna Dušek was taught by Georg Christoph Wagenseil, an imperial court composer. In 1770 he came back to Prague and established himself as a successful keyboard teacher. 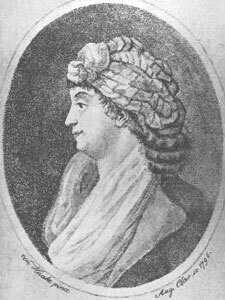 Portrait of Josefína Dušková (Josepha Duschkova) (1754–1824), an outstanding soprano of the Classical era. František Xaver Dušek’s wife. At the age of 45, he married 22-year-old Josefína Hambacher, the daughter of an apothecary who owned the most valuable real estate in Prague. Her father’s pharmacy was in the house called Zum weissen Einhorn (The White Unicorn). In her youth Josefína studied music with her future husband František Xaver Dušek. She became an outstanding soprano. Dušek and his wife were close with the composer Ludwig van Beethoven. While Beethoven was in Prague in 1796, he wrote his concert aria Ah! perfido (Ah! Deceiver), Op. 65, for Josefína. Her career as a singer was long and successful; she gave concerts in many different cities, including Prague, Vienna, Salzburg, Dresden, Weimar, Leipzig, Warsaw and Berlin. František Xaver Dušek was a welcome guest in the music salons and he and his wife became well-known hosts at their home, Villa Bertramka, in Košíře, just outside Prague. It is not known whether the couple performed together as musicians, but they hosted frequent musical gatherings at which many famous people were present. Wolfgang Amadeus Mozart was probably his guest in his Villa Bertramka, although no documentation exists to support claims originating in nineteenth-century literature that he stayed there frequently. František Xaver Dušek was one of the founders of Czech piano school. Among his students were not only prominent aristocrats living in Prague but also outstanding professional musicians. Dušek had an international reputation as a music teacher. He died in Prague, at the age of 68.